The Astronauts Memorial Foundation (www.amfcse.org), a nonprofit organization that honors and memorializes those astronauts who have sacrificed their lives for the nation and the space program by sponsoring the Space Mirror Memorial, and by implementing innovative educational technology programs, has selected Professional Coin Grading Service (PCGS) to create a special label to celebrate the launch of the Apollo 11 50th Anniversary Commemorative Coins. PCGS has prepared special inserts featuring the AMF logo juxtaposed against the sun rising behind the earth. These commemorative coins will also receive the First Strike® designation, when eligible, and Apollo 11 50th Anniversary pedigree. The new Apollo 11 commemorative coins, and other specified U.S. and world coins, will be eligible to receive the AMF label. 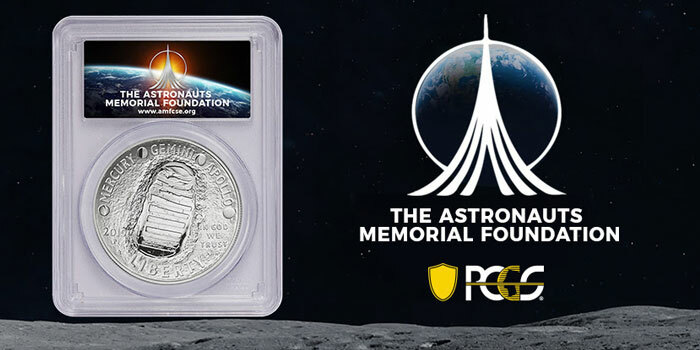 A portion of the proceeds received by PCGS from submitters for the grading and encapsulation of the coins commemorating the 50th Anniversary of the first moon landing will be donated directly to the Astronauts Memorial Foundation. AMF, which is based at the John F. Kennedy Space Center in Florida, was founded in the wake of the Space Shuttle Challenger accident in 1986. AMF is the proud sponsor of the 42-foot high by 50-foot wide polished granite monument known as the Space Mirror Memorial. The National Memorial, also located at the John F. Kennedy Space Center on Merritt Island, Florida, glows with the names of astronauts who have given their lives in the line of duty. AMF funds the Center for Space Education in Florida where students, teachers, and mentors experience building rockets, robotic competitions, and other hands-on learning activities. AMF also partners with the National Aeronautics and Space Administration (NASA) to provide technology training to educators throughout the nation with a particular emphasis on space-related technology. “PCGS is pleased to partner with the Astronauts Memorial Foundation and help support AMF’s mission to inspire future generations of scientists, engineers, and mathematicians through their many programs and outreach activities. This is a perfect way for the hobby to pay tribute and memorialize the 1969 Apollo 11 mission and the United States Mint’s 50 th Anniversary Commemorative Coins,” said PCGS President Brett Charville. 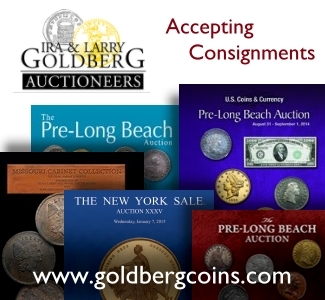 Prices for the coins include surcharges of $35 for each gold coin, $10 for each Silver Dollar, $5 for each Clad Half Dollar, and $50 for each Five-ounce Proof Silver Dollar. 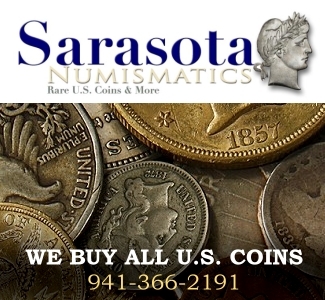 Under federal legislation authorizing the coins, the surcharges will be divided as follows: one-half to the Smithsonian Institution’s National Air and Space Museum’s “Destination Moon” exhibit, one-quarter to the Astronauts Memorial Foundation, and one-quarter to the Astronaut Scholarship Foundation. “In addition to the mandated surcharges, we will donate 50% of the $18 label fee from encapsulation of all Apollo 11 50th Anniversary Commemoratives and other qualifying coins that receive the special insert,” explained Charville. Full submission guidelines are available here: www.pcgs.com/labels.